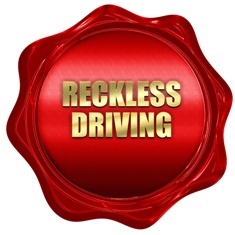 Do I need an attorney if I have been charged with reckless driving in North Carolina? Misdemeanor offense. Reckless driving is not a traffic offense in North Carolina. It is a Class 2 misdemeanor punishable by up to 60 days in jail and a fine of up to $1,000. In addition, it will result in a permanent criminal record, points on your driving record, increased insurance costs, and a possible driver’s license suspension. You may be able to avoid some of these harsh consequences if you are represented by an attorney. Possible defenses. You may have defenses to the charges, such as speedometer calibration, GPS defense, lack of probable cause to stop you, and other violations of your constitutional rights, even if you are guilty. A skilled lawyer will be able to identify these defenses and use them to fight to get the charges dismissed or reduced to a less serious offense. Court hearing. You are required to appear at a court hearing when charged with reckless driving in North Carolina. However, your attorney may be able to attend your hearing without you so that you do not have to miss work and lose wages. Plea bargain. An attorney will be able to enter into a more favorable plea agreement if that is in your best interest. He may be able to use facts in your case, such as a clean driving record or successful completion of a driver improvement course, to convince the prosecutor to reduce the charges to a less serious traffic offense. At Browning & Long, PLLC, we are committed to aggressively fighting for the rights of our clients facing reckless driving charges. We have the added advantage of being former prosecutors, which gives us a greater understanding of the strategies that they employ in these cases. To learn more about your possible defenses and how we can assist you, start an online chat to schedule your free consultation today.